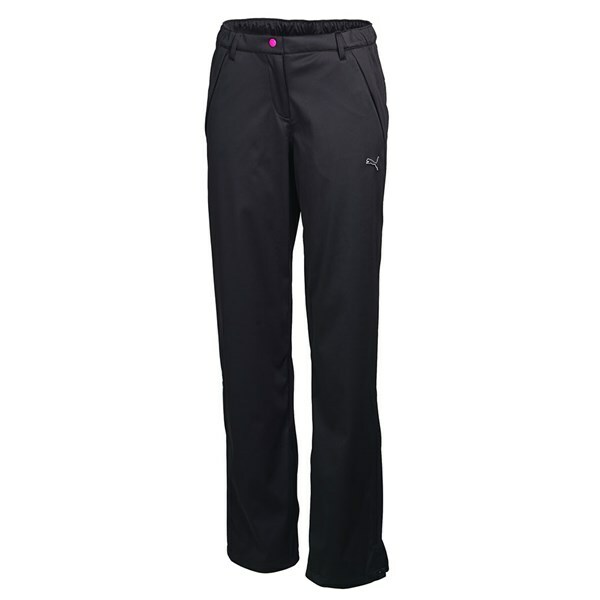 The Puma Golf Ladies Rain Trousers have been designed to make playing golf in the rain, cold and wind more bearable. Puma have used a zip fly waist and leg opening so that putting them on in a hurry is exceptionally easy. When on the stretch knit fabric is super comfortable to wear and comfortable to move in. All of the seams are fully sealed to give you the best possible protection in the rain and wind. It doesn’t matter what time of the year it is as the rain trousers are breathable, so any excess moisture or sweat will be quickly wicked away and allowed to escape through the fabric.